When you are out shopping, you look down the drink aisle. You see pop, juice, milk, alcohol, water, coffee and tea. There are many things that you can drink. If you want to improve nutritional value in your diet, you should be drinking more tea. This is one of the most beneficial drinks available to you. You can get premium tea, bottled tea and you can make homemade teas as well. Less than half the population are getting benefits from tea. You can be one of the men who gets the amazing benefits from drinking tea regularly. Starting around 2740 B.C. there was a legend saying that the leaves off Camellia sinensis plants had fallen into the emperor’s water which was boiling. Since, then tea was born. Some cultures recognize tea as the most refreshing, restoring and soothing drink available. There is more truth held to this than it may seem. Along with being all of these things, tea has more health benefits than you could ask for. 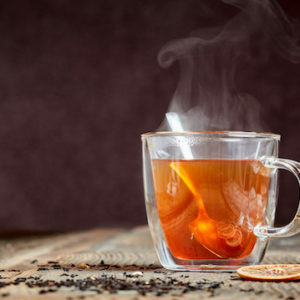 Whether you need to lose weight, improve the health of your teeth, reduce your risk of heart diseases or lower your risk of cancers, tea is the way to go about all of that. You can have better heart health from drinking tea. There is a lot of strong evidence that proves this. There are many anti-oxidants found in tea which help to improve heart health. Studies have shown that black tea will help to boost heart health. To decrease this risk of having a heart attack, you will need to drink more green tea. Tea is also going to lower your cholesterol levels too. Tea is also an excellent way to prevent cancer. There is not enough research or studies backing up this cancer notation but trial and error have shown enough. There are suggestions that show catechins in the teas will help in the prevention of cancer. There are more studies that show green tea is more of a preventative for cancer than black tea or other types of tea. Another thing that you may want to do each day is keep up with your tooth health. Tea is going to help you in doing this. Research has shown that drinking a minimum of one cup of pure green tea every day will help you out the most in keeping up with your tooth health. Studies show that drinking tea each day lowers the amount of pH on the surface of your teeth. Tea also reduces the amount of bacteria growth on your teeth as well. Tea has a lot of fluoride which is great for your teeth too. If you want to lose weight, drink tea each day. There is a lot of supporting evidence showing that tea works as an inducer of weight loss. Studies have shown the extracts in tea boost weight loss. 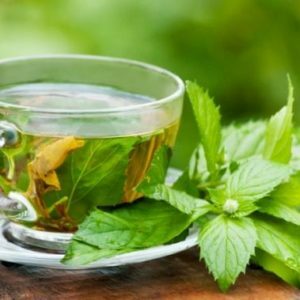 While there isn’t enough recognition for brewed teas, it is clear tea is helpful in losing weight based on real-life experiences of many men. Too many people get their caffeine from unnatural sources. This leads to many health issues and causes increased risk for certain health problems too. If you want to get caffeine, you need to get the natural kind. You can get this in tea. The amount of caffeine you get will vary based on how you make the tea. Now you have more information about all the beneficial ways that tea is going to help you. When going for more nutrition in life, tea is something you should be drinking each day. Since tea is the most beneficial drink available to you, it is something that you shouldn’t pass up. The next time you are shopping think about the benefits of tea so you can make the best decisions in the daily drinks you choose to get. Previous ArticleDo You Hate Going to the Gym? Here are Exercises You Can Do Instead! Next ArticleWill Working Out Once a Week be Right for You?